This was the fourth year of the Course in Ocean Governance. 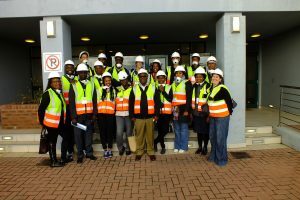 The course was run in partnership with the South African National Biodiversity Institute (SANBI) and the South African International Maritime Institute (SAIMI), from the 4th to the 29th of September 2017. This year 63 applications from 19 countries were received. It was a challenge to select the participants, and although 22 participants were selected and approved for funding support, only 19 were able to attend. Those 19 delegates represented seven countries including South Africa, Sierra Leone, Ghana, Nigeria, Namibia, Kenya and Madagascar. The participants came from a diverse range of disciplines and backgrounds. 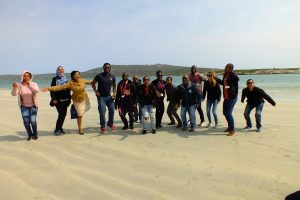 Lectures were delivered by over 40 regional and local experts from over 25 institutions and each week included at least one field trip to a local point of interest. The schedule also provided time for group discussion sessions and feedback on topics that had been covered during the week. This year’s participants were particularly engaging and enthusiastic discussions were a key feature of the four weeks. 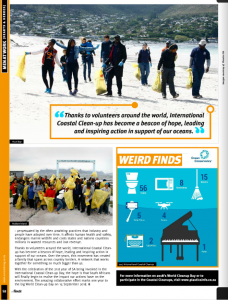 The participants enthusiastically participated in the International Coastal Clean up day again this year and were featured on page 58 of On Route Magazine.